This massive man-made reservoir boasting a capacity of 600 million cubic meters of water is sometimes called Ginzan Lake. 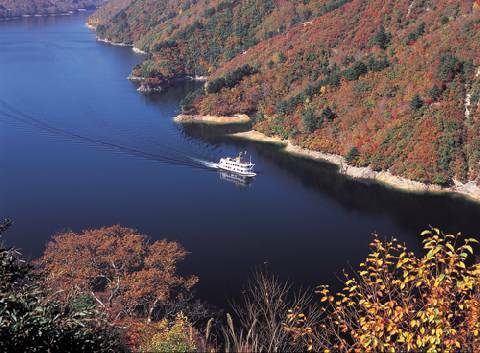 From late May to early November you can enjoy excursions on the lake, and it also serves as a gateway to Oze. Take Joetsu Line from Echigoyuzawa Station, and get off at Urasa Station. Change buses towards Okutadami.